I feared for Aimee Mann. She was the lead singer, bass player and chief selling point of ‘Til Tuesday, a band which was, in the mid-1980s, the Next Big Thing. Until, suddenly, it wasn’t. Another casualty of the star machine? ‘Til Tuesday was a Boston synth-pop outfit with a hint of punk, which burst onto the scene in 1985 with “Voices Carry”. With the help of a striking video featuring Mann, she of the platinum hair and wide eyes, it was a huge hit. Industry executives looked at her and saw dollar signs. There was a rash of publicity. I remember reading a profile in Rolling Stone. There was a picture of Mann, looking moody. The caption: “C’mon, Aimee, how can someone who looks so good feel so alienated?” This remains possibly the stupidest thing ever written, even in Rolling Stone. Early success was not replicated. Label heavyweights demanded hits. The hits failed to come, and the band fell apart under pressure. ‘Til Tuesday; gone Wednesday. I looked up Aimee Mann, expecting a sad story of bitterness, break-up and drug abuse. I am happy to be completely wrong. She built a solo career, worked on film music and a variety of other projects, and still performs. She has won Grammy awards, done heaps of stuff. This is her in 2008: looking healthy and happy, a woman in control of her own destiny. Against all expectation, Aimee Mann is alive and well and playing bass. Her most recent album is called Mental Illness, and it is, frankly, wonderful. I have bought the download — I encourage you to do the same. Here she is, back in the ‘Til Tuesday days, with “Don’t Watch Me Bleed”, a B-side breakup song with angsty vocals and moody bass to suit the title. 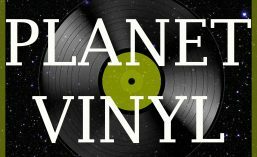 There is an entire continent of Planet Vinyl called Neverquite. This is where we find the recordings of those honest toilers in the vineyard of song who “never quite” made it big. There is sadness here, but less than you might expect. There are those who were crushed along with their dreams, and whose ghosts are bitter. But more often there is pride in having done something good, and a mature acceptance that failure in terms of fame and showbiz is not failure in life. My career never regained its early momentum. Lounge gigs, dago banquets—I earn a decent living playing music I love. So many artists who pop up on Planet Vinyl belong in this space: happy enough living in Neverquite. Here is another. Jackie Lee. No, not the handsome young country singer of recent times. This Jackie Lee was female, born Jacqueline Norah Flood, in Dublin in 1936. She was a child prodigy, enjoying success first in Ireland and then after moving to London. She sang with dance bands and vocal groups and was a fixture on variety shows. She sang backing vocals on international hits, including Tom Jones’ “Green, Green Grass of Home”. She had extraordinary vocal range, and she was good looking, and a decent actor. She seemed set for stardom … but it never quite happened. If you are interested, some loyal fans have established a website, The World of Jackie Lee which tells her story. Meantime, have a listen to the two sides of this single, an Australian release from 1962. The fact that these … recordings were issued overseas suggests far greater commercial success was expected than actually happened. Never quite … but she earned a decent living playing music she loved. Nothing wrong with that. The strangely-named “The RAH Band” burst onto the scene in 1977, with a UK top-ten hit, a bouncy dance track called “The Crunch”. Billboard assumes its industry-savvy readers knew who Hewson is, and fair enough. You know his work, even if you have never heard the name. Born in 1943, he began a career as a producer and arranger in the late 1960s. He worked with the cream of pop music, most notably The Beatles (credits include “Across the Universe”, “I Me Mine” and “The Long and Winding Road”) but also The Bee Gees, James Taylor, Herbie Hancock, Supertramp, Diana Ross, Carly Simon, Art Garfunkel, Leo Sayer, Fleetwood Mac … it goes on, but you get the idea. As The RAH Band, Hewson could relax a bit and have some fun – and that is what “The Crunch” undoubtedly is. It is a dance-floor packer without pretension. Just listen! There was a time before microphones. Think about what that meant for a singer. You had to stand on stage in front of an orchestra, and your unaided voice had to reach the far corner of the hall. It is an astonishing thing: to sing with pitch, control, feeling, as well as power and volume. It requires talent, dedication and training, and technique. Microphones changed singing. From the 1930s on, it was possible to front a band and sing, and let the microphone do the heavy lifting. You could focus on timing, timbre and expression. Paradox: the electronically amplified singer can sound more natural. So to modern ears, operatic singing is a bit of an acquired taste. The power and volume of the natural, trained classical voice seems a bit odd, stylised, artificial. It is worth making the effort, though. Before the microphone, classical singing was singing. This was how it was done, how music sounded. One of the early superstars of recorded music was Richard Tauber. He wore a monocle. Along with a silk top hat, it was his trademark. He did not need the lens to see. In fact – well-kept secret – monocles are completely useless for helping vision. They were only ever a silly fashion item. But Tauber had a squint in one eye, and the monocle disguised that, and made him look dapper besides. More to the point, Tauber could sing. A measure of his popularity is that long after he died (of lung cancer, in 1948), when superior recording techniques allowed other tenors to share their art, Richard Tauber’s work continued to be reissued. I have not been able to determine when this track – one of more than 720 he recorded – was released on shellac. Guessing mid-1930s? Nor do I know when the vinyl EP reissue, with this and three other songs, came out. Guessing late 1950s? All that matters: here is a voice than has pitch, control and feeling, as and can reach the far corner of the hall. Just listen!